Happy FRIDAY! Guess what? We have finally made it to a three day weekend! 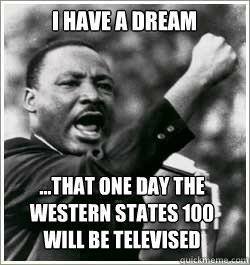 I wish! After not doing any real running since Monday my legs are itching for a good, long run. 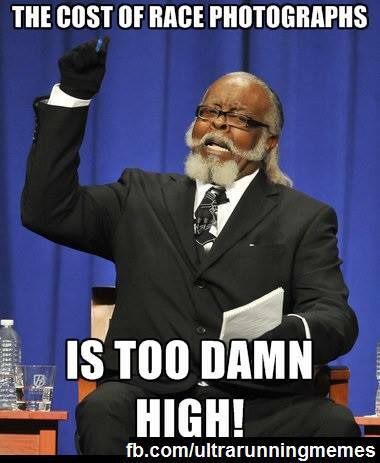 I went to the doctor this morning and…. well actually I’m writing this on Thursday night so I have no idea what the verdict is yet. I can only tell you that ALL DAY yesterday I felt amazing so I’m pretty sure I don’t have what the guy in the picture below has. Doesn’t everyone do this with their pet? I found it on Pinterest and am a little upset it didn’t come with DIY instructions for how you can get your cat to agree to take this kind of picture. Oh, and just in case you think I spent all of last night looking at running and cat memes, know that I also finished watching Running Madness, a documentary about the Western States 100-miler from 2002. I give it two thumbs up! It is similar in a lot of ways to Unbreakable which documents Western States from 2012, except that it doesn’t really follow the elites the way Unbreakable does. It did have some great interviews with Scott Jurek and his pacer, Dusty, that any SJ fan will love. 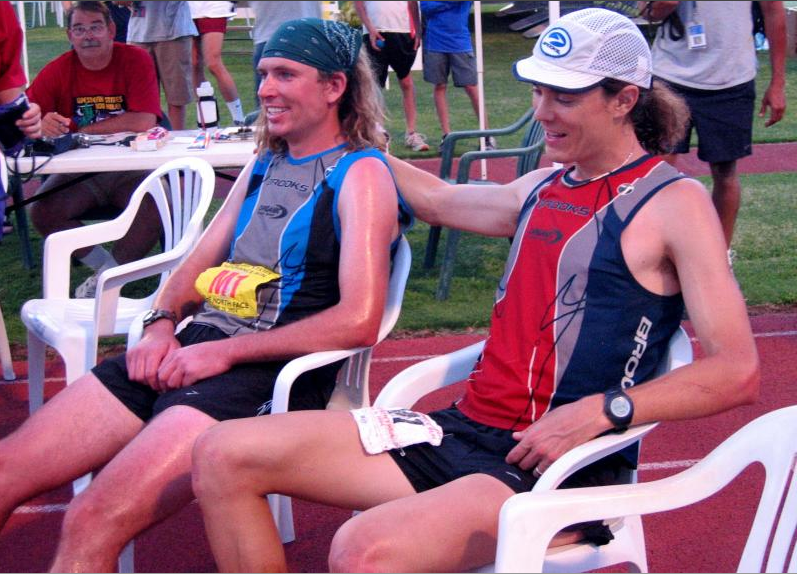 After reading Scott’s book so many times, it was really fun to see him cross the finish line at Western States. Scott is known for being a vegan ultrarunner, and I kind of always wondered if part of that was manufactured for book sales. I mean, obviously not the vegan part, but I thought maybe his passion for creating recipes and what not was partially manufactured once he started to become famous. This documentary put that worry to rest for me since he was clearly very into the same interests even back when he was only known in the small ultrarunning community. Blah Blah blah Scott Jurek blah blah blah, sorry for all the SJ talk lately! I’m in the middle of re-reading Scott’s book for the millionth time and whenever I do I get a little obsessed with both him and ultrarunning in general. I HOPE YOU HAVE A GREAT 3 DAY WEEKEND! Any exciting plans? – Adam comes home this afternoon after 5 days in Finland for a work trip. SO HAPPY! <3 Really hoping he’s feeling up to going to the Heat game on Sat. night! 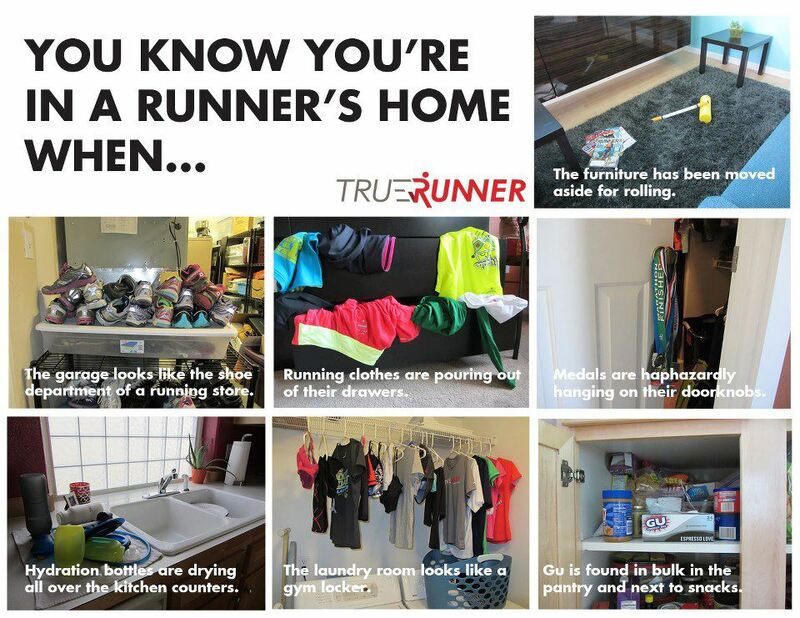 Do you have a favorite running meme? Those memes are awesome. I like the one with two batons lol. Man when did this become the ST fan page j/k, I enjoy all the ultra runners interviews and writings. Welcome home Adam and I can’t wait for game TWO!! hope you get good news from the dr. I know, the one with two batons cracks me up!! Fingers crossed on the doctor appointment for this p.m. I’m feeling 110% back to normal and really want to run this weekend! Fun pictures!!! I hope you can get your cat to help you out on that pose – that would be a great picture!!! Hope the DR appointment was good news! I hope so too! I think I would frame it, haha. DR appointment went better than expected!! Hope all went well at the doctor. I am excited for the 3 day weekend– sleeping in! Seriously, 2 batons. How does that happen???! YES! Sleeping in, the very best thing in the world! i’d never seen the “there is no tri” one!!!!!! i LOVE IT. 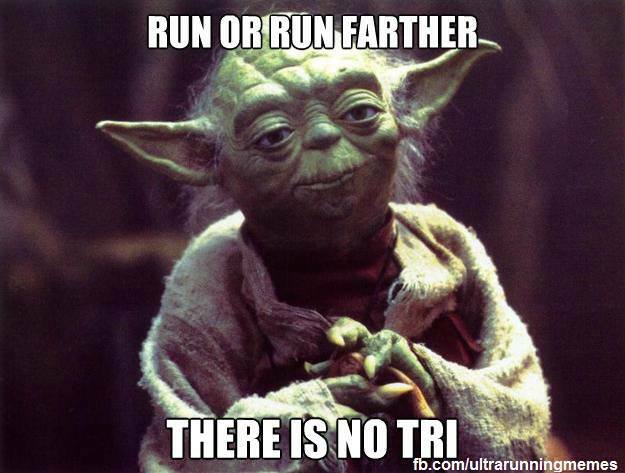 i always get asked when i want to do a triathlon. it’s exhausting. I’m so excited for you! I hope you find time to use it this weekend 🙂 Let me know how it goes! I love all of these! I read this earlier today and was all smiles 🙂 Have a great weekend! I think the cat one is my favorite — I really think every pet parent must do this! It’s just rude not to 🙂 Cecil always gives a meow is response so I think he appreciates it. 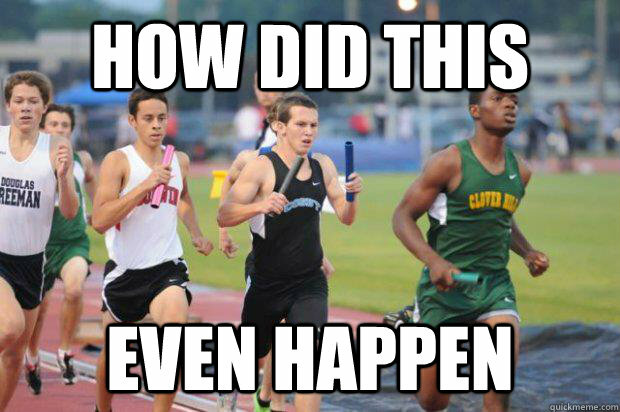 Haha, too true re: those damn race photos! Love the baton one too. Glad Adam is back. 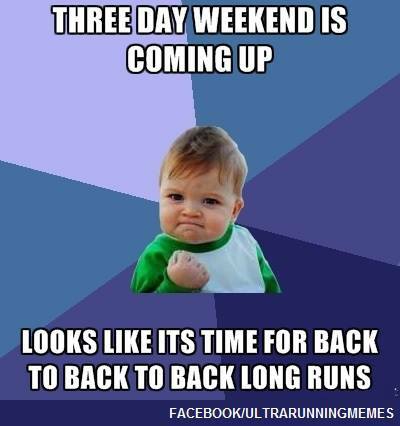 Enjoy your 3 day weekend, yay! No long weekend here for us, except our usual long-ish weekend (we have one 40 minute class on Monday that isn’t until 3pm). 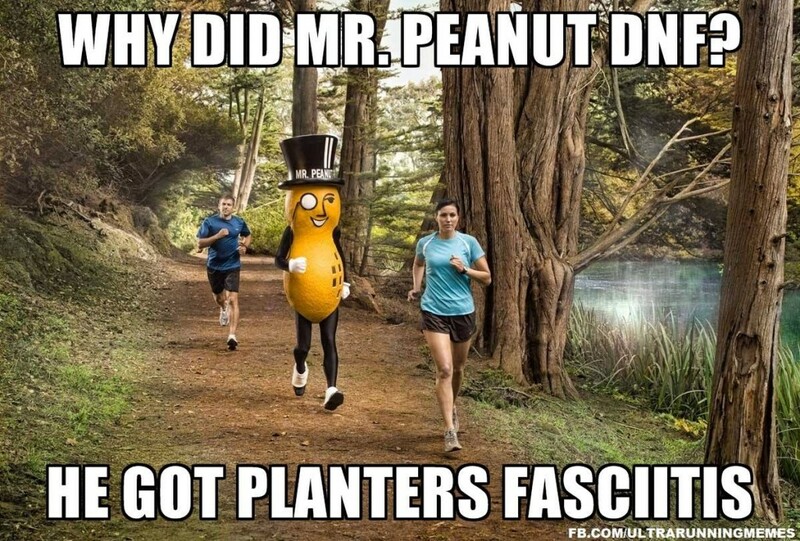 Ps – Hope all went well with the doc! What’s funny about race photographs is that, at least here, they follow up with you for 12 months after a race with all kinds of “special offers” but none of the offers are very good. At some point they should realize I’m not spending $25 for a digital download of my finish line photo … however, if 6 months after the race they offered a digital download for $5 or $10 I would be willing to pay that. Then at least they would get some money! 🙂 I know the photographers aren’t free and that the cost of photos covers their pay but the pricing is really crazy for some races! lolll I am laughing really hard at the Western States 100 one and the asking the cat how their day was one. Yes, as soon as I come home from work, I start talking to my cats and a voice 3 octaves higher than my ALREADY high voice!! I ask how their day was, if they were good for their daddy (Paul is home and all) and if they are “HUNGY”, which is my cute word for “hungry”. All this occurs before I even say hi to Paul, Ooops! Right now I’m reading “Born to Run” and I’m so excited that you talked about a documentary and another book that I KNOW I’ll want to watch and read! Oh girl, I have so many books and documentaries I can suggest for you! 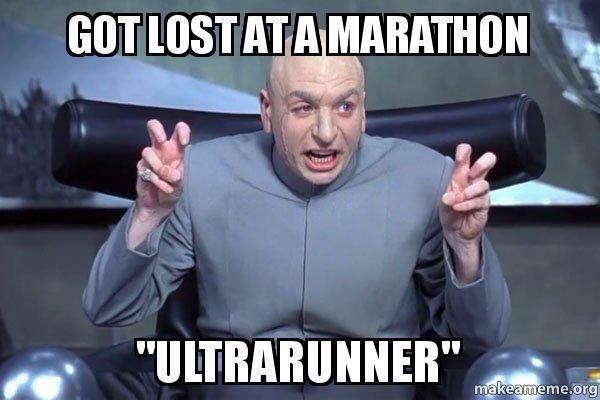 🙂 Born to Run is what led me all the way down the ultrarunning rabbit hole! Some of these are really funny. Love the Mr. Peanuts one!